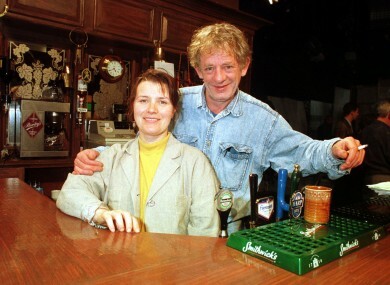 GLENROE WAS AN embarrassment to RTE says Mary McEvoy, who played the character Biddy in the national broadcaster’s longest running TV soap. Speaking to Ireland’s Own Magazine, the actress said that RTE made a decision to stop shooting the show because it was an inconvenience to the station. “It’s a show that survived by accident and was popular with people, but I believe it was an inconvenience to RTE,” she said. Born onto a farm in Co Westmeath, McEvoy was first cast as Biddy in 1983. Wife to farmer Miley Byrne, played by Mick Lally, the character was eventually killed in a road accident the year before the series ended in 2001. Mick Lally died in 2010. According to McEvoy, Glenroe’s popularity could not save the series because it clashed with another soap, Fair City, and RTE could not afford to fund both. McEvoy has since returned to the family farm, where she raises cattle and sheep and practises Buddhism. In an interview with RTE’s Would You Believe in 2009, she revealed that she suffered from depression for many years, an experience she wrote about in her autobiography How The Light Gets In. Email “Glenroe was "an embarrassment" to RTE, says Biddy”. Feedback on “Glenroe was "an embarrassment" to RTE, says Biddy”.